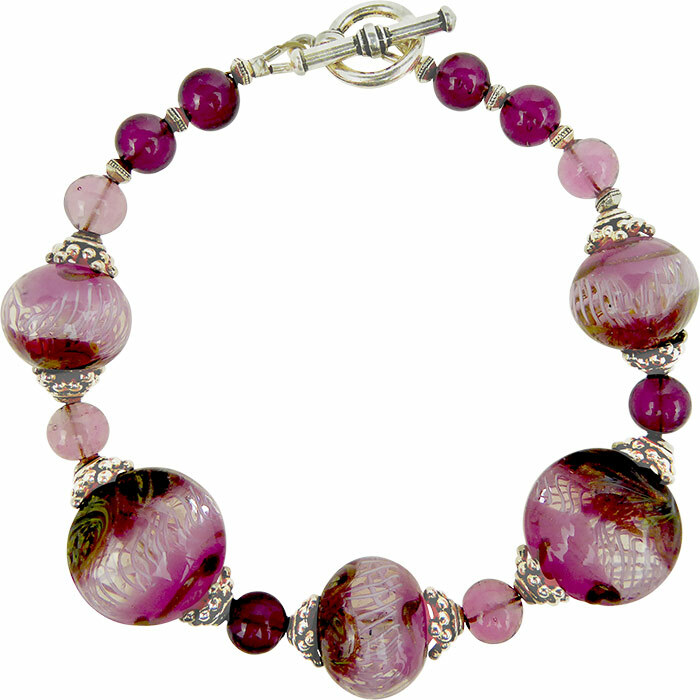 Pink and Purple with White Zanfirico Murano Glass Beads make this delightful Bracelet in a 8 1/4 Inch length. 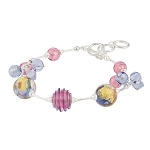 If you need a different length, please inquire as we import the beads and make our own jewelry here in our workshop, we can accommodate sizing. 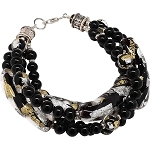 Note, change in lengths may require different size beads.